ALABAMA: Man Convicted In Infamous Torture Killing Of Gay Man Is Stabbed To Death By Fellow Prison Inmate - Joe.My.God. 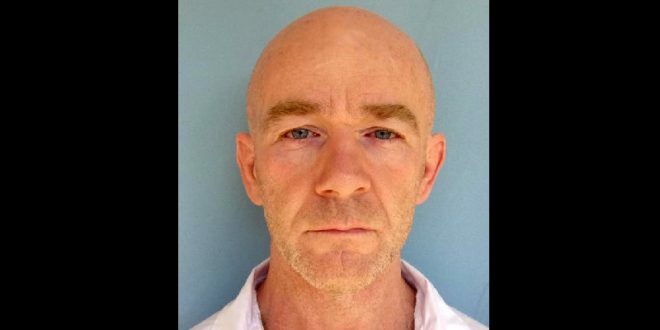 Steven Eric Mullins [photo] was found unresponsive Feb. 26 at St. Clair Correctional Facility, Alabama Department of Corrections officials announced Monday. The Department of Corrections’ Investigations and Intelligence Division is filing capital murder charges against 50-year-old Christopher Scott Jones who is a suspect in the fatal stabbing. On February 19, 1999, Billy Jack Gaither, a thirty-nine-year-old gay man who worked at the Russell Athletics apparel company near Sylacauga, Alabama, was brutally beaten to death. His throat was cut, and his body was bludgeoned with an ax handle before being thrown on top of a pile of tires and set on fire. In the weeks following the killing, two men came forward to police as the killers: Steven Mullins and Charles Monroe Butler. Butler, the younger of the two, came forward to police first. He described the night of the murder in great detail: how he had never heard of Billy Jack Gaither prior to the night of the killing. He recounted how his friend Steve Mullins found him at a bar playing pool and asked him to take a ride into the woods with himself and Billy Jack; how Billy Jack started “talking queer stuff” that set off a violent reaction in Butler; and then how he stood by as Mullins beat Billy Jack to death. Mullins was serving a life sentence without parole. His alleged killer is a serving a 25-year sentence for five murders in 2008. The murder of Billy Jack Gaither spawned a push for LGBT-inclusion in hate crime laws in some states, including Alabama. Vigils and protests were held around the country in the days after the crime.